If you cannot find the person you are looking for, please email us at missingnames@outlook.com with some details and we'll get back to you. You can search by name or locate a war memorial on the map, and discover the people, lives and stories behind the names. The Nottinghamshire Great War Roll of Honour is a permanent tribute to local men and women who died during the First World War. Until now, no list of Nottinghamshire’s Great War dead has been compiled and many communities did not keep written records of 1914-18 losses. This project pays homage to the county’s fallen and creates a unique, centralised archive for researchers, historians and the general public. Eight groups of volunteer information gatherers have collaborated with Nottinghamshire County Council which has funded the initiative and provided technical expertise. Names have been collected across Nottinghamshire from 677 memorials in village and town centres, chapels, churches, churchyards, parish halls, factories and other work places, schools and sports clubs. Individual stories have been brought to life through the addition of biographical detail, narrative, photographs and newspaper extracts as well as entries from diaries and letters. Fatalities unrecorded or missing from physical monuments have been added to a series of Virtual Memorials. Many members of the public have already contributed and you can add photos or data to the site using a simple Log-In process at the bottom of the screen. Nottinghamshire County Council web developer Tom Styles who designed the site. Consultant Ashley Marron who developed Phase 2 of the project in collaboration with Tom Styles and Alec Buchanan. Lynn Sergant, who has uploaded much of the data harvested from the city of Nottingham and Nottinghamshire’s districts. Dr David Nunn who has led the team of volunteers. 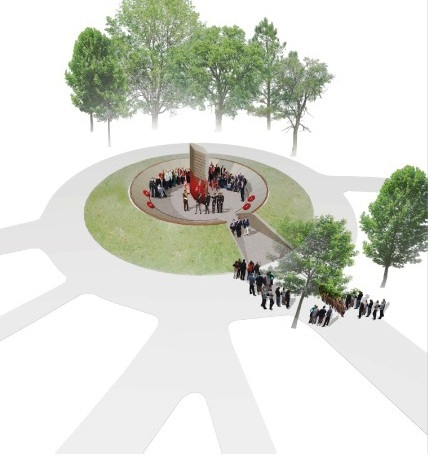 The names of 13,435 identified Nottinghamshire Great War fatalities on this data base will be placed on a new memorial, designed by Letts Wheeler of Nottingham, which will be unveiled in June 2019.